Yesterday morning before I went out to meet a friend for coffee I put a batch of chickpeas in my Instant Pot to cook. I wasn’t sure what I was going to do with them but cooked beans are always a great thing to have in your back pocket (just don’t sit down. HAHAHA… sorry). They are healthy, filling, and will sit in the fridge for a few days until you need them. Mine didn’t sit because on the way home I stopped at the market and spotted some fresh corn and some lovely ripe mangos. Throw in some filler vegetables and amp it up with a zesty smoky vinaigrette and you got yourself a yummy Southwestern inspired salad. The ingredients below are what I had on hand but it is infinitely adaptable. 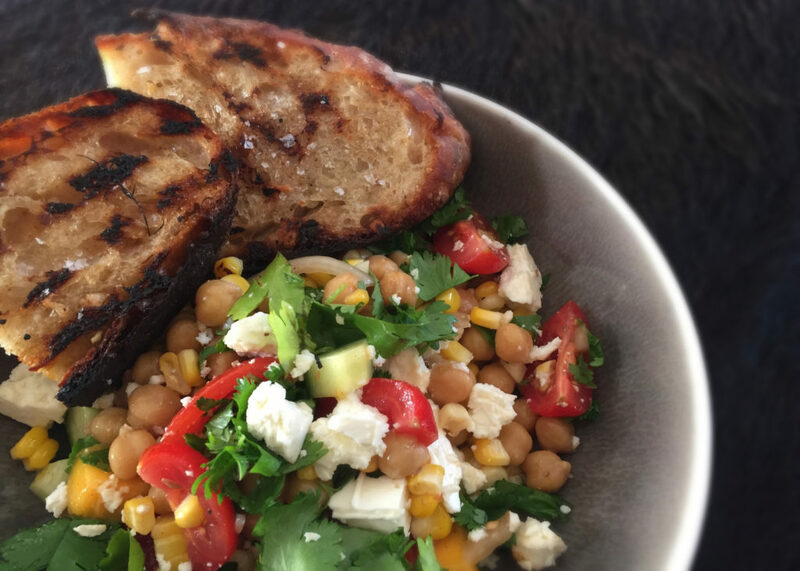 Use black or white beans instead of chickpeas. Add sliced radishes, diced bell pepper or kohlrabi. Try a different cheese. Shower with mint and basil instead of cilantro. And as always, enjoy sitting outside on your patio with a beer. Cheers! 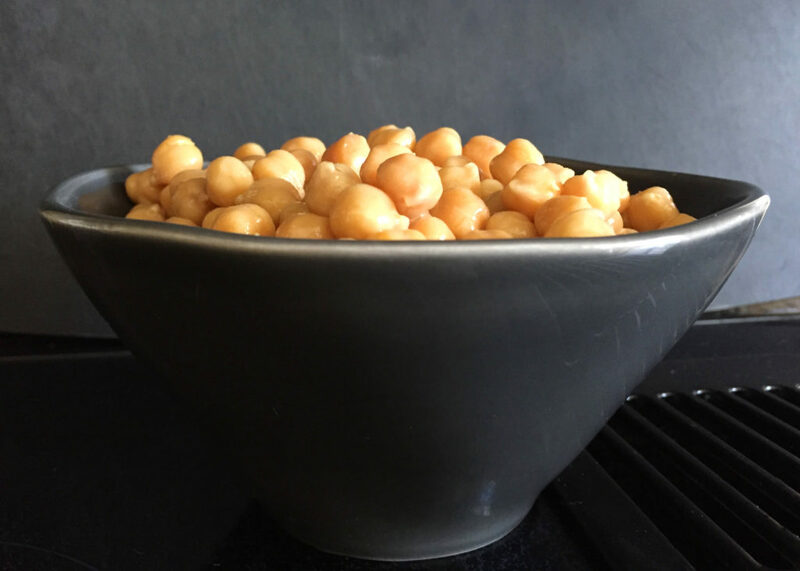 Cook chickpeas using your favourite method. I do mine in the pressure cooker with a clove of garlic and bay leaf. Make vinaigrette by combining all ingredients except olive oil in a bowl. Slowly drizzle in oil while whisking. Taste and re-season if necessary (add more ingredients to your liking). Set aside. Preheat BBQ grill. 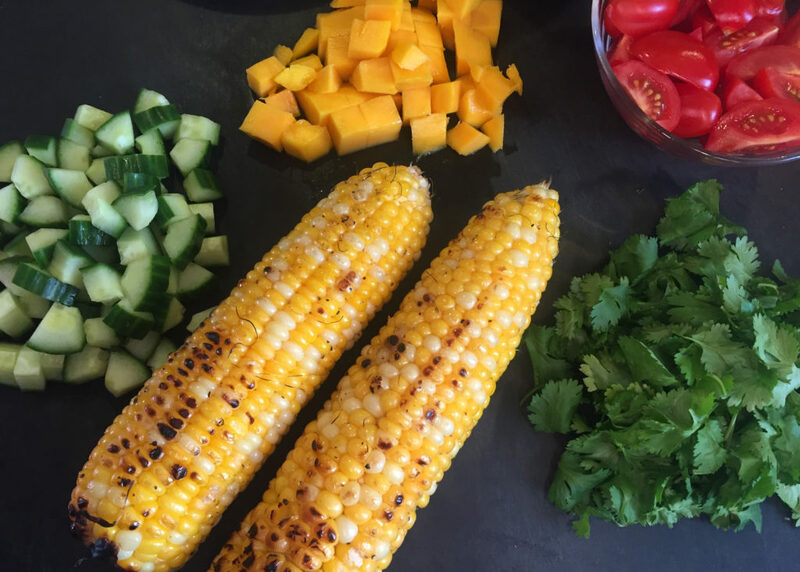 Shuck and grill corn, turning until blistered in places (about 10 minutes). Let cool enough to handle. Remove kernels with a knife. Set aside. 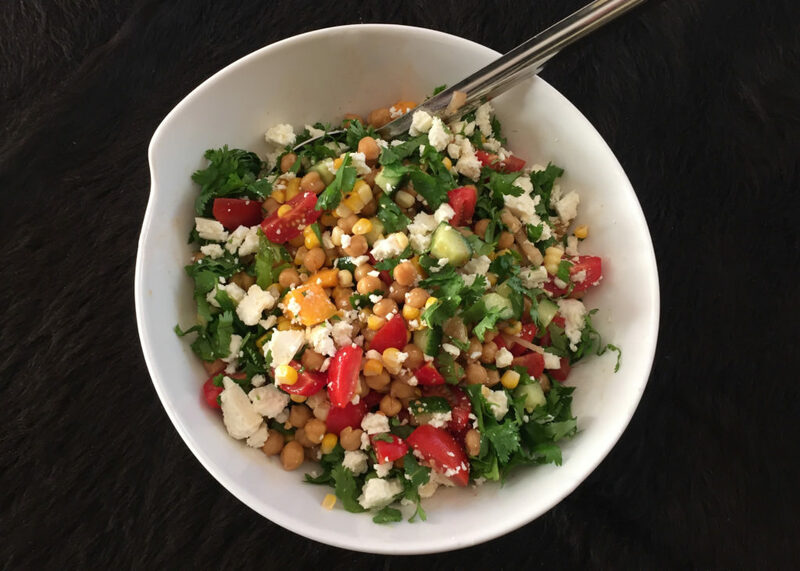 When you’re ready to eat, combine chickpeas, corn kernels, and the rest of the salad ingredients (except feta and cilantro) in large bowl. Drizzle with half the vinaigrette and mix well. Taste and adjust seasoning adding more vinaigrette or salt and pepper. Garnish with crumbled feta and chopped cilantro. We enjoyed this with grilled bread.